The criminal justice process is unavoidably human. Police detectives, witnesses, suspects, and victims shape the course of investigations, while prosecutors, defense attorneys, jurors, and judges affect the outcome of adjudication. 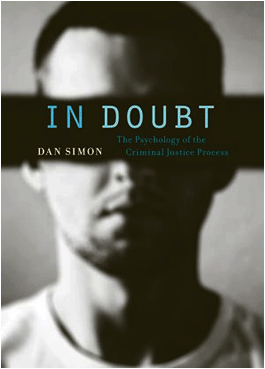 In this sweeping review of psychological research, Dan Simon shows how flawed investigations can produce erroneous evidence and why well-meaning juries can send innocent people to prison and set the guilty free. The investigator's task is genuinely difficult and prone to bias. This can lead investigators to draw faulty conclusions, assess suspects' truthfulness incorrectly, and conduct coercive interrogations that can lead to false confessions. Eyewitness' identification of perpetrators and detailed recollections of criminal events rely on cognitive processes that are often mistaken and can easily be skewed by the investigative procedures. In the courtroom, jurors and judges are ill-equipped to assess the accuracy of the often incomplete and inadequate testimony, especially in the face of the heavy-handed rhetoric and strong emotions that crimes arouse. Simon offers an array of feasible ways to improve the accuracy of criminal investigations and trials. While the limitations of human cognition will always be an obstacle, these reforms can enhance the criminal justice system's ability to decide correctly whom to release and whom to punish. * Bibliography: Due to the extensive volume of the sources cited in the book, its index does not list the names of the cited authors, nor does it contain a bibliographical list (all sources are of course fully referenced in the book's endnotes). For your convenience, a bibliographical list is produced on this website. To view the bibliography, click here.